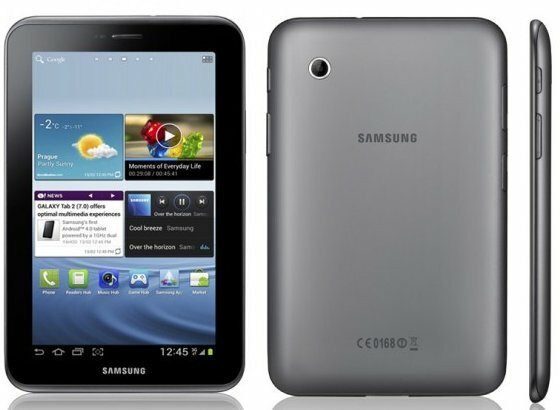 Built around a 7-inch 1024 x 600 PLS LCD display, the new Galaxy Tab 2 has a 1GHz dual-core processor paired with 1GB of RAM, along with WiFi and a 3-megapixel rear facing camera. There are several signs that this is a budget model, targeting the entry-level in Samsung’s expansive tablet line-up. For a start, the main camera is fixed-focus, and has no LED flash; the front-facing camera, meanwhile, is VGA resolution rather than the more typical 1.3-megapixel or above. It’s also 10.5mm thick, not vast in the grand scheme of things, but still chubbier than other recent slates Samsung has produced.